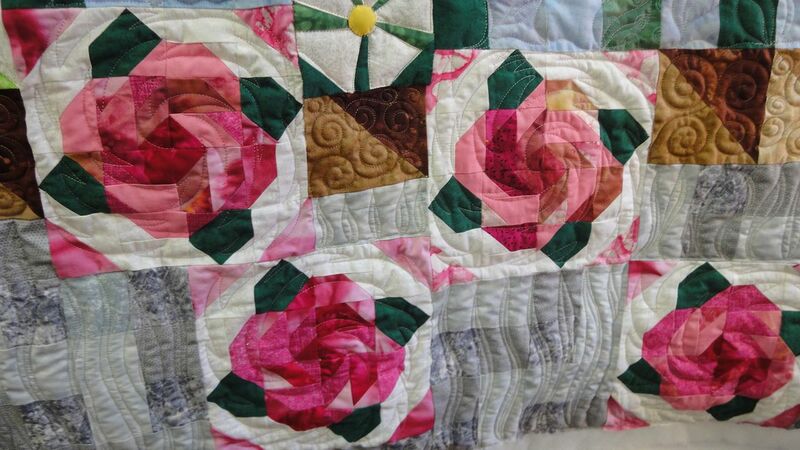 Remember the Jellyroll Quilt? 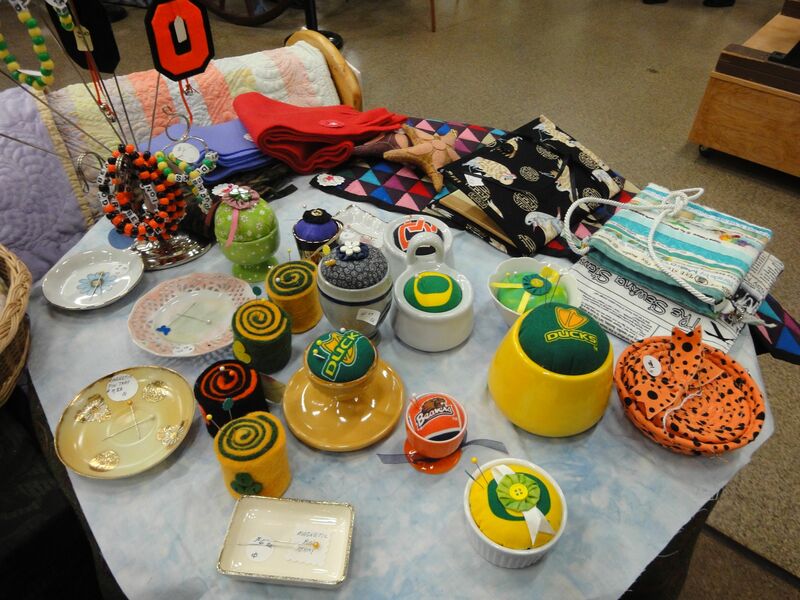 Within the first hour we had a bid of $175 for it. 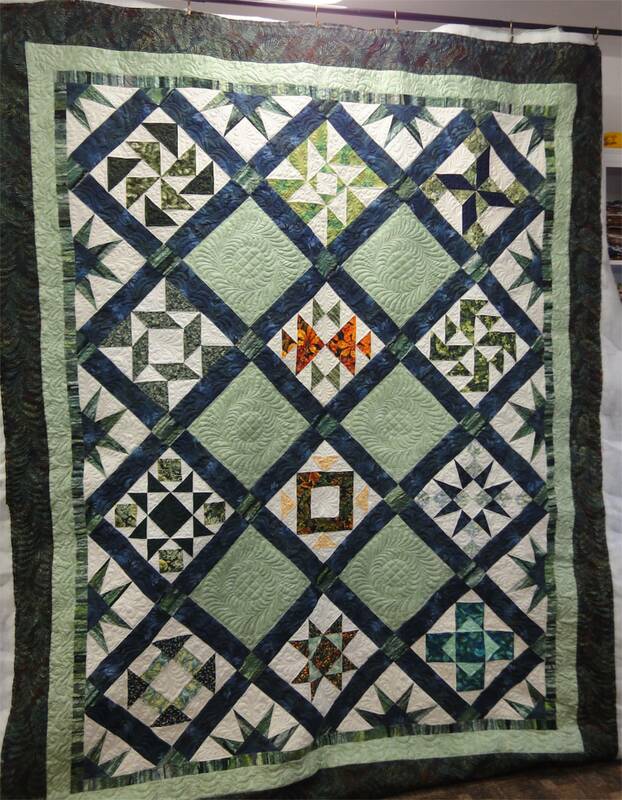 The prospective buyer very graciously suggested we continue to display the quilt and accept further bids on it throughout the show. 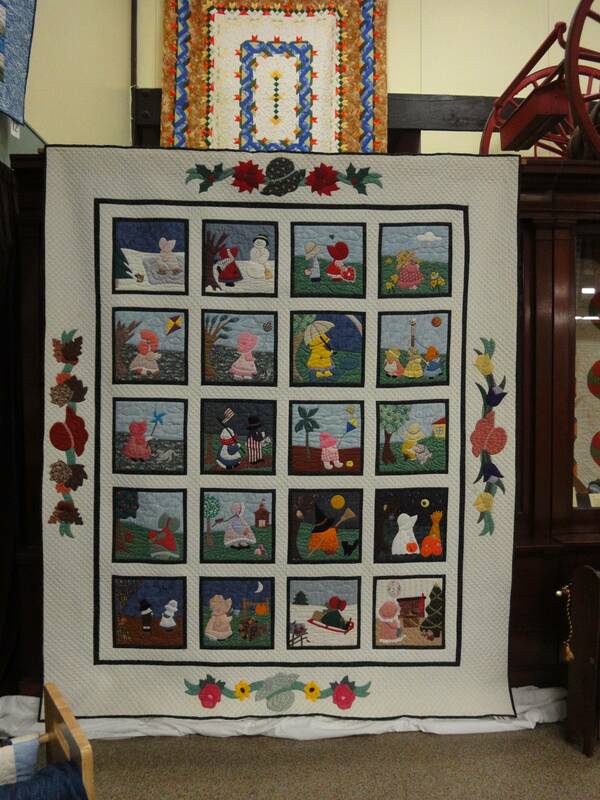 So we have a silent auction set up for that quilt! 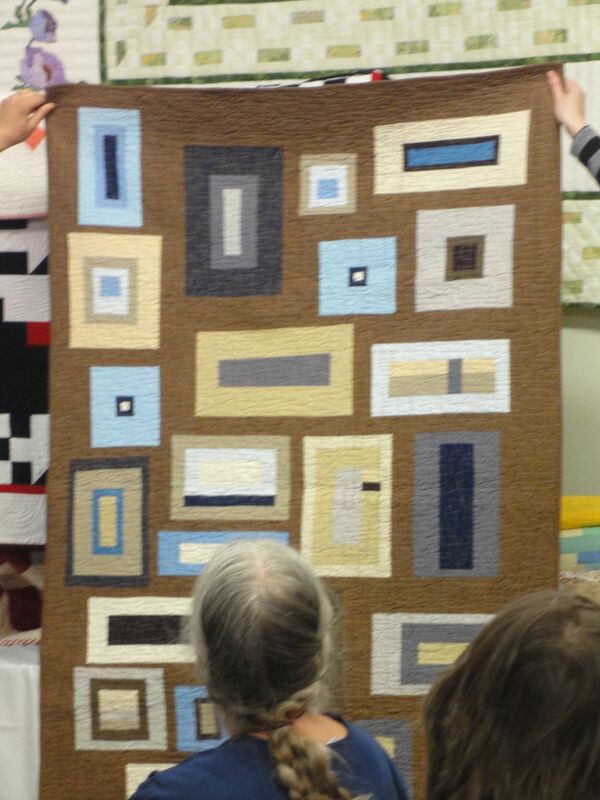 If you would like to bid on the quilt, simply speak with the Lane County Historical Museum staff to place a bid. Yes, we’re very excited!! 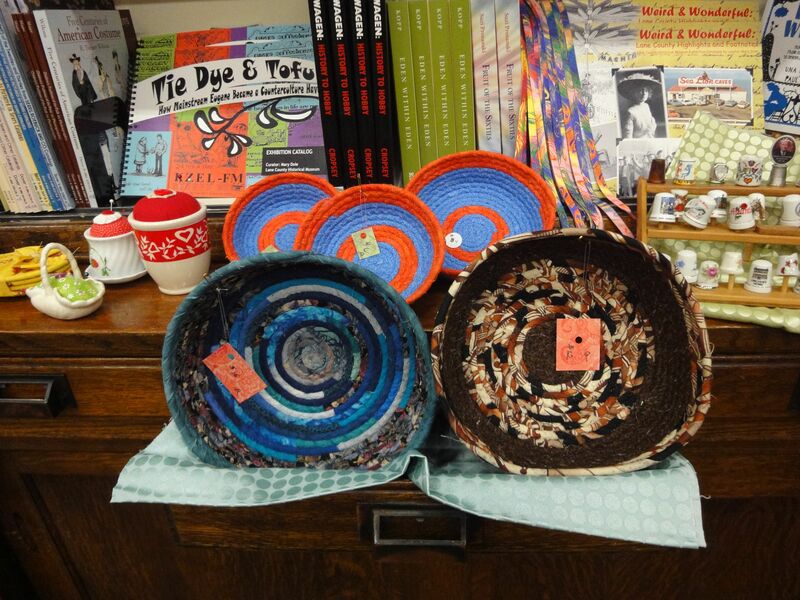 Aren’t these fabric bowls beautiful? We also have wonderful sets of coasters, made using the same technique, in many colors! Show your loyalty with a pincushion! Even the most expensive boutique items (in the $20 range) are priced at less than the supplies to make them. 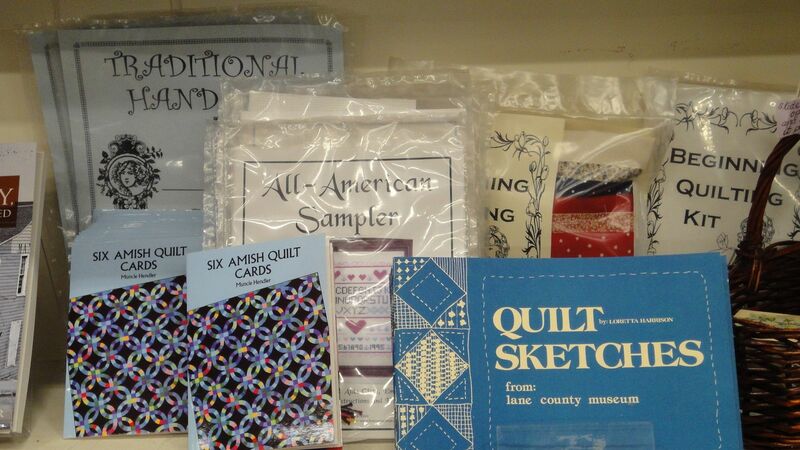 The Pioneer Quilters group works throughout the year to create these delightful and useful items for our sewing pleasure. 100% of the proceeds are donated to the Museum! 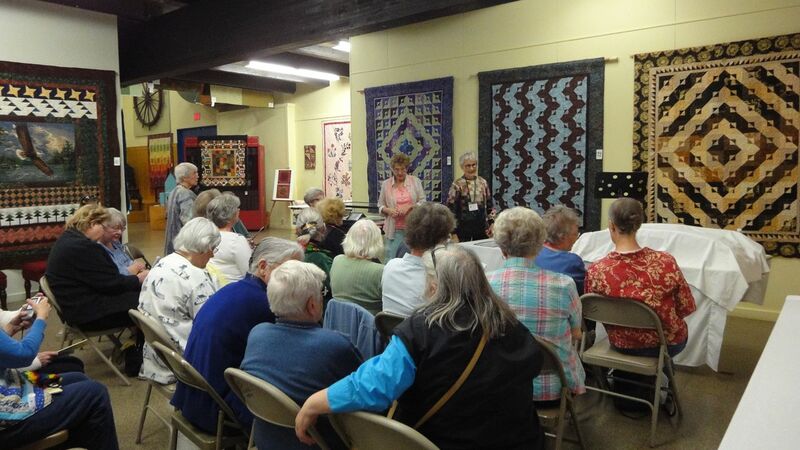 The Pioneer Quilters Unbroken Thread Quilt Show, “Our Quilting Family,” opened to an enthusiastic crowd of quilt lovers this past Tuesday, April 23, 2013! 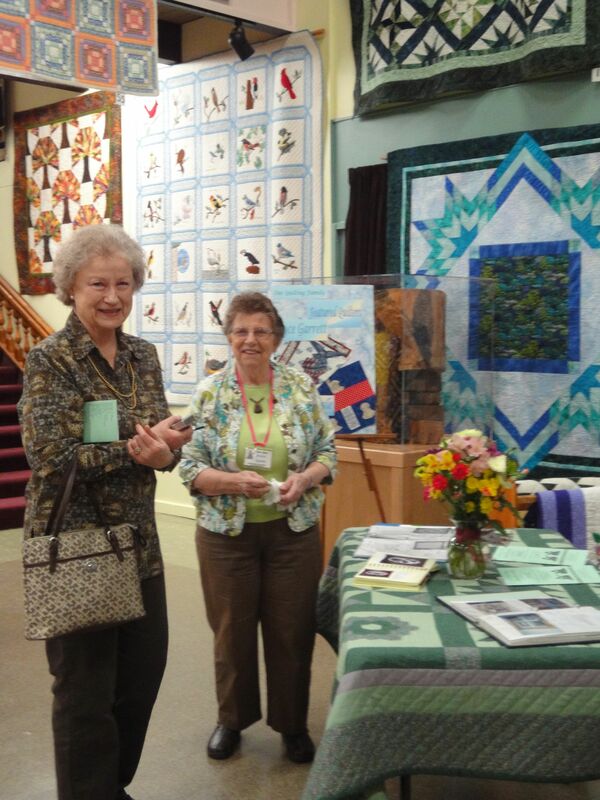 Our featured quilters, Joyce Garrett and Jamie Wagle, were busy throughout the day, sharing their wonderful exhibit with attendees. 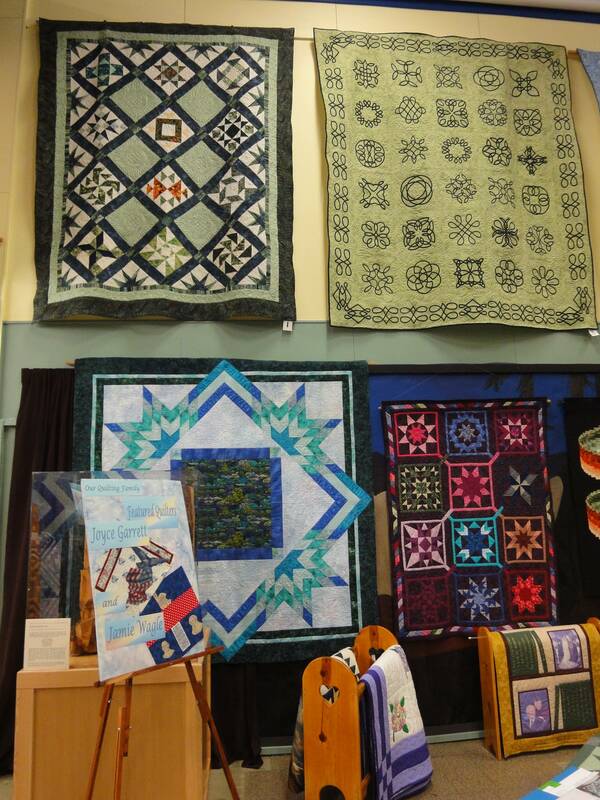 The Featured Quilters display area. 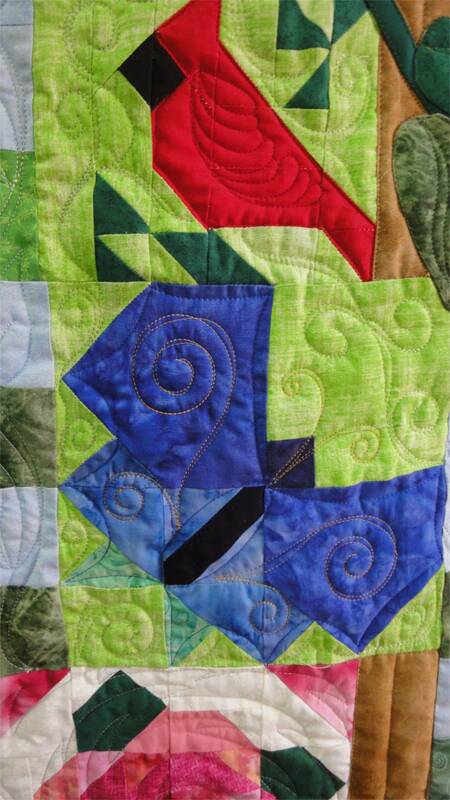 Jamie’s Celtic Applique quilt is shown on the right and Joyce’s “Leaves” hanging on the left. 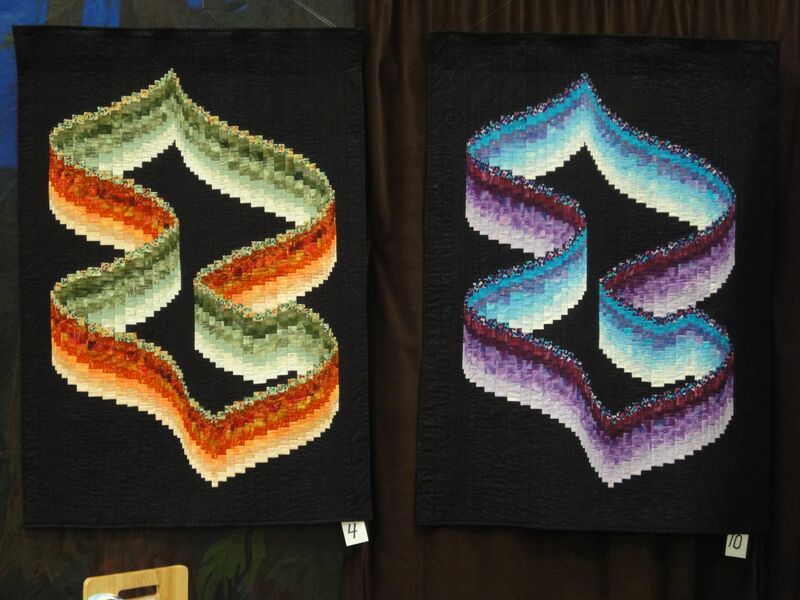 These sisters have done many projects together throughout the years, and in many cases have their quilts displayed side by side, as the Twisted Ribbon Bargello quilts are. 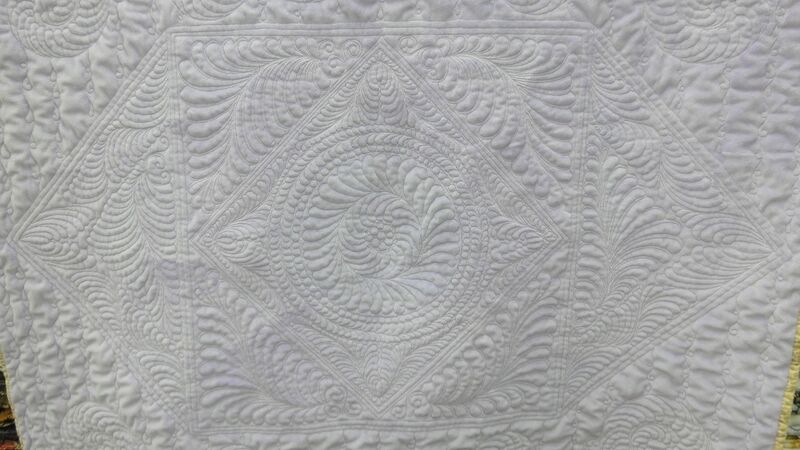 Signature Quilts. 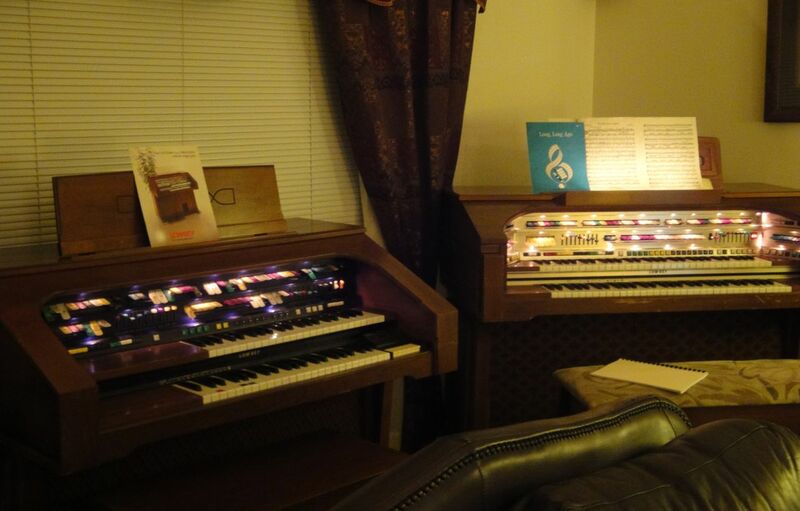 Which one is Joyce’s? Throughout the day their display area has been very busy as show attendees stop to view their work and discuss it with them. Another stunner! Whose is it? 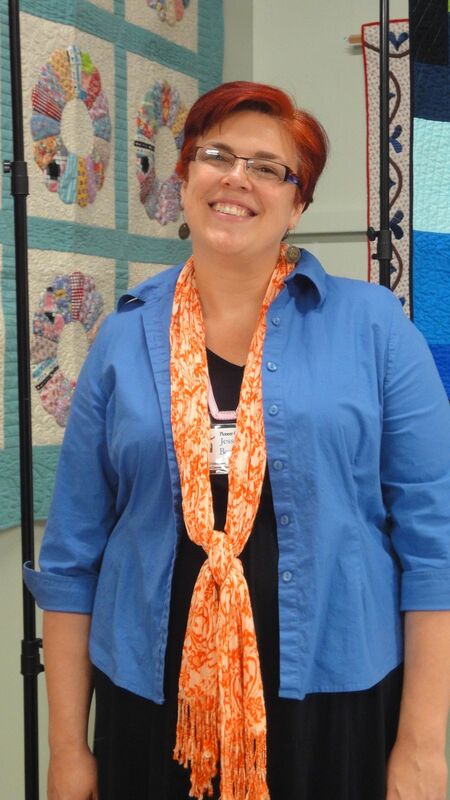 We enjoyed a thrilling presentation by Eugene Modern Quilt Guild President Jessica Beaudet Wednesday afternoon, “The Modern Quilt Movement & Trunk Show.” And what a trunk show she shared with us! 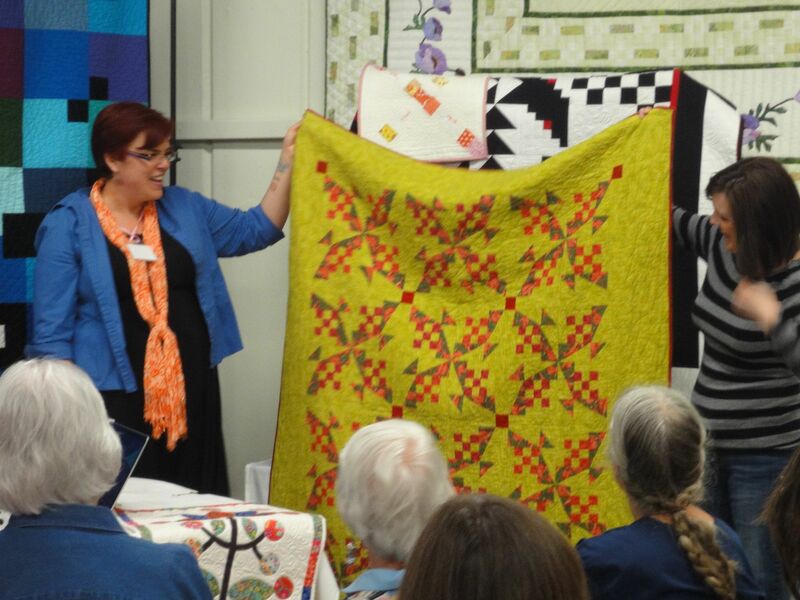 She very generously shared her knowledge of the Modern Quilt Movement, reminding the audience that we all speak the same quilting language, no matter what the form of our communication is: in person, by telephone, or by internet connection. 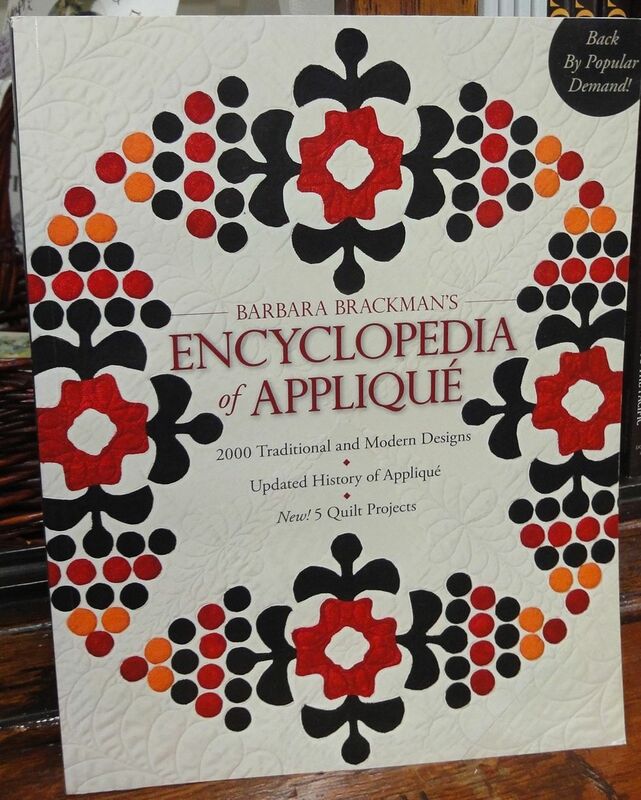 She uses the internet as a tool to enhance and share her quilting knowledge with quilters worldwide. 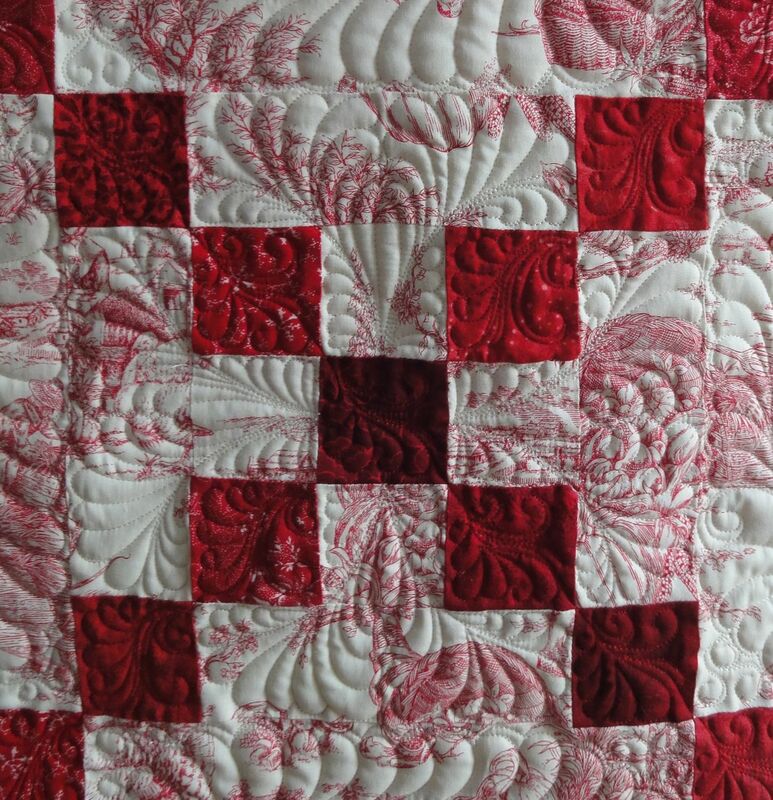 A traditional block, a red & green quilt, but with a definite color edge! We thank Jessica profusely, for her presentation at the show today! 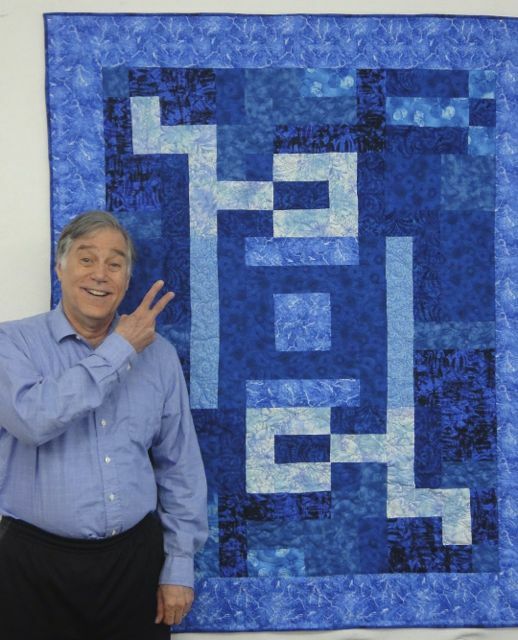 Our community is so fortunate to have such a talented and generous quilter in our midst! 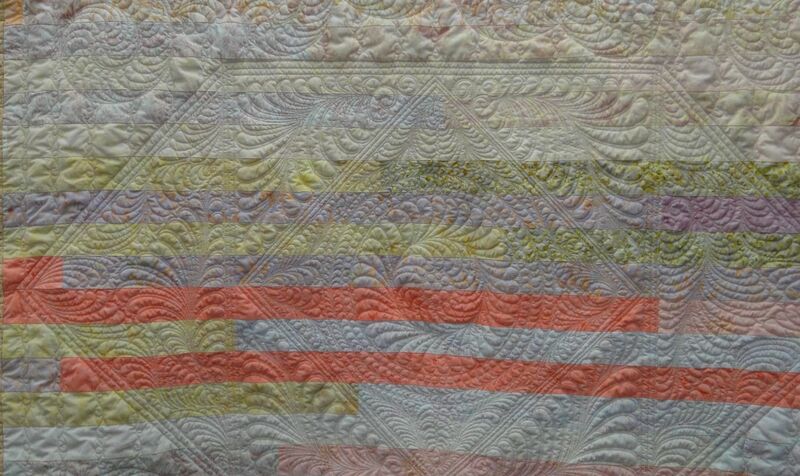 And lastly, exhibited in our show, is a marvelous quilt by Jenny Bonynge (quilted by Cynthia Brunz) in the modern aesthetic. 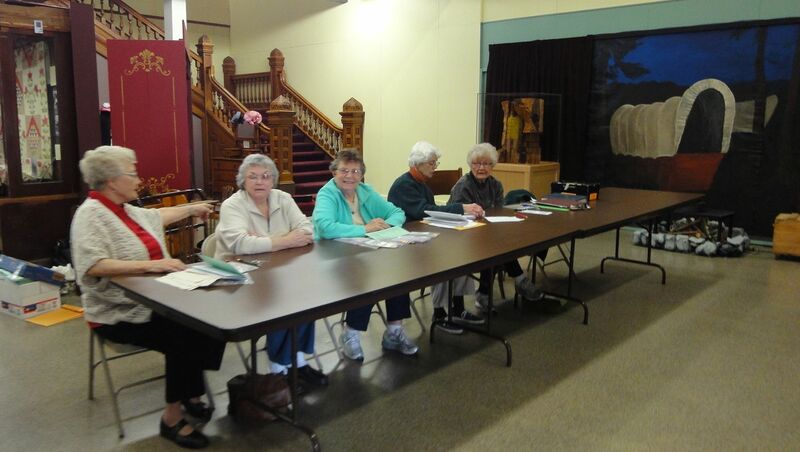 The Pioneer Quilters show, “Our Quilting Family,” begins Tuesday morning, April 23, at the Lane County Historical Museum, Eugene, Oregon! 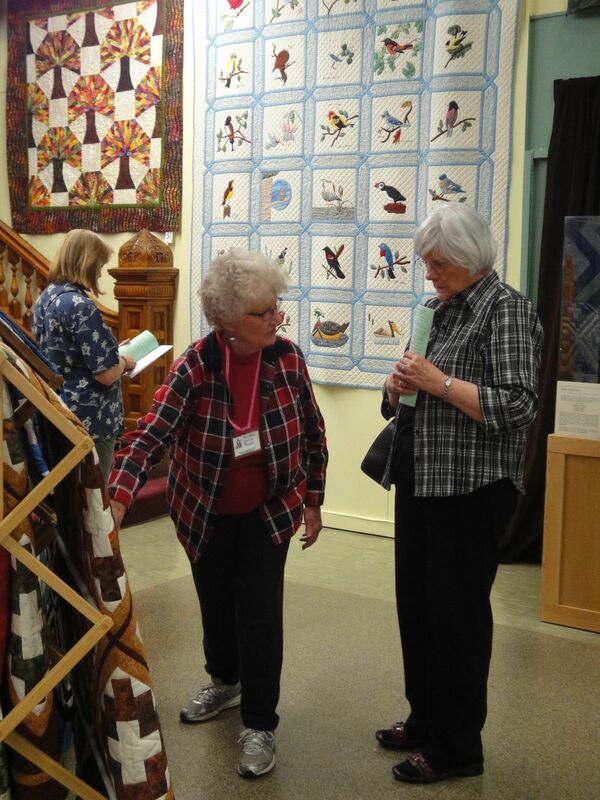 Today the show was hung, a quilt set up for us to work on during the show, and the Pioneer Quilters Boutique was set up! We are ready! 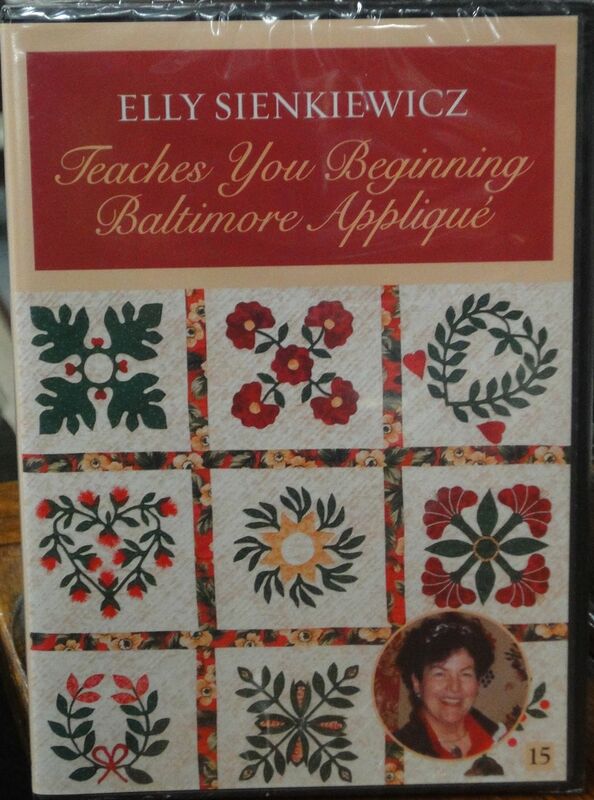 This is a great DVD, what a talent! 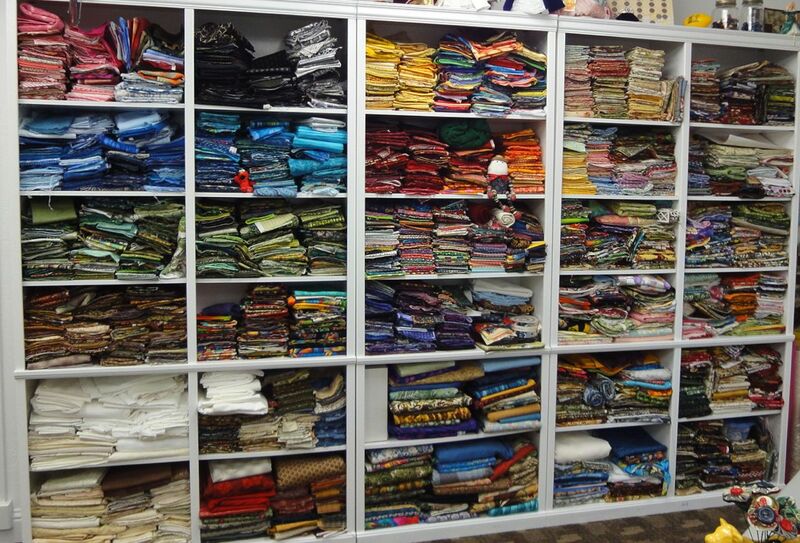 This whole shelf is filled with quilting goodies. They even have a sewing machine pencil sharpener! 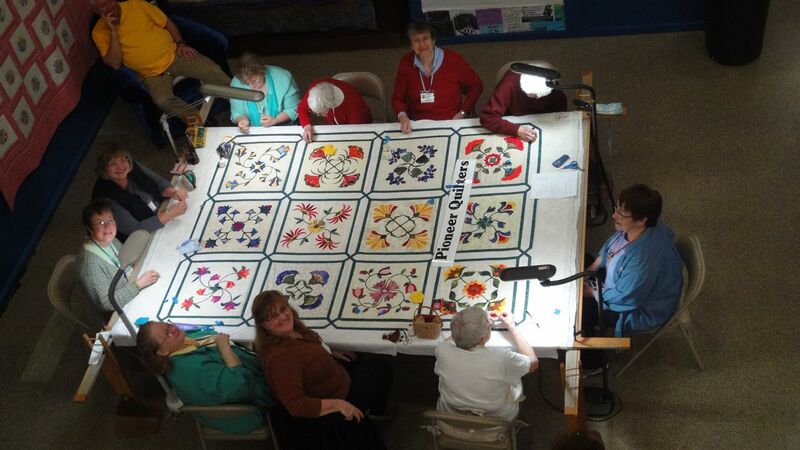 Our quilt take-in crew, ready for some action. 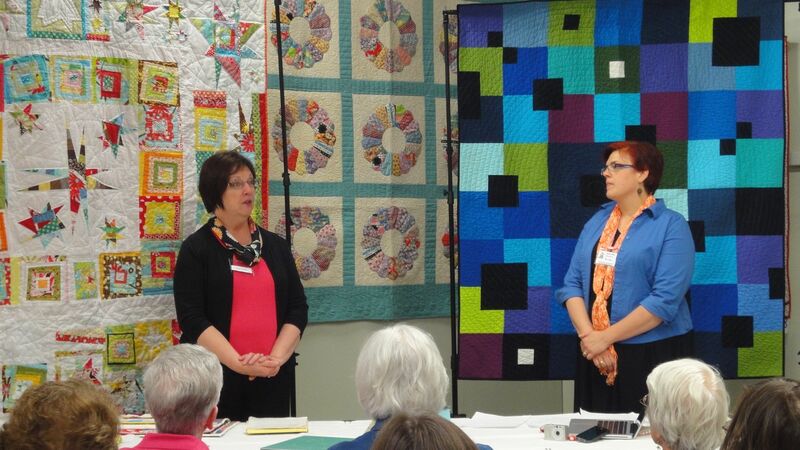 Our featured quilters Joyce Garrett and Jamie Wagle. 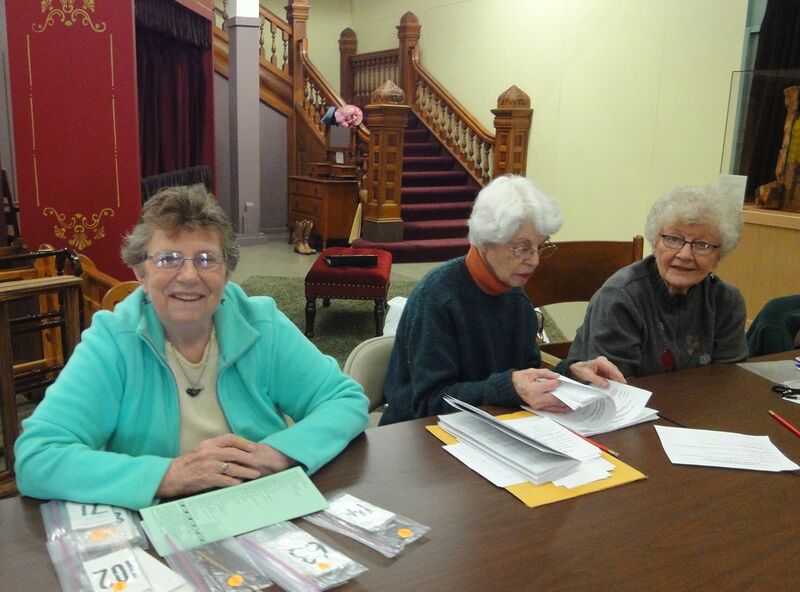 Barbara Ganzel is sitting in the middle. 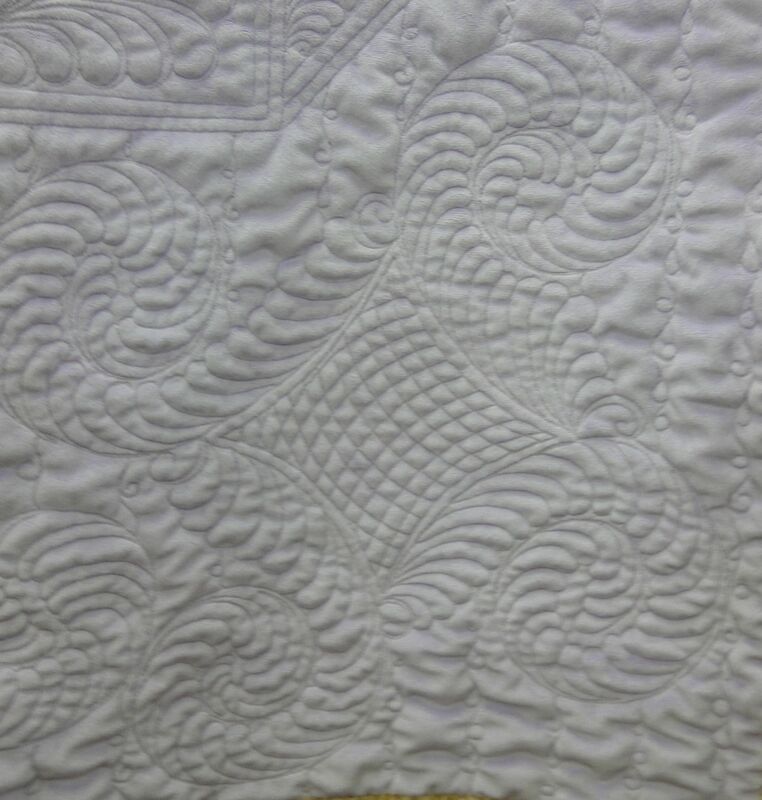 I will have some photos of Boutique items for you tomorrow, but for now I’ll show you a quilt that John sewed and I quilted. 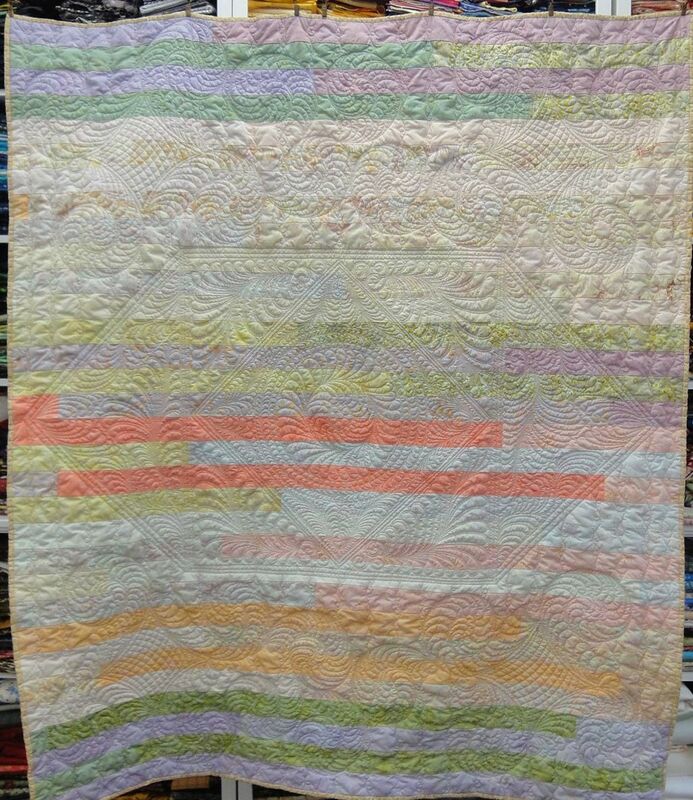 This is his first Jellyroll quilt, all in soft pastel batiks. He likes to use Minky backing, because it is so soft and cuddly. 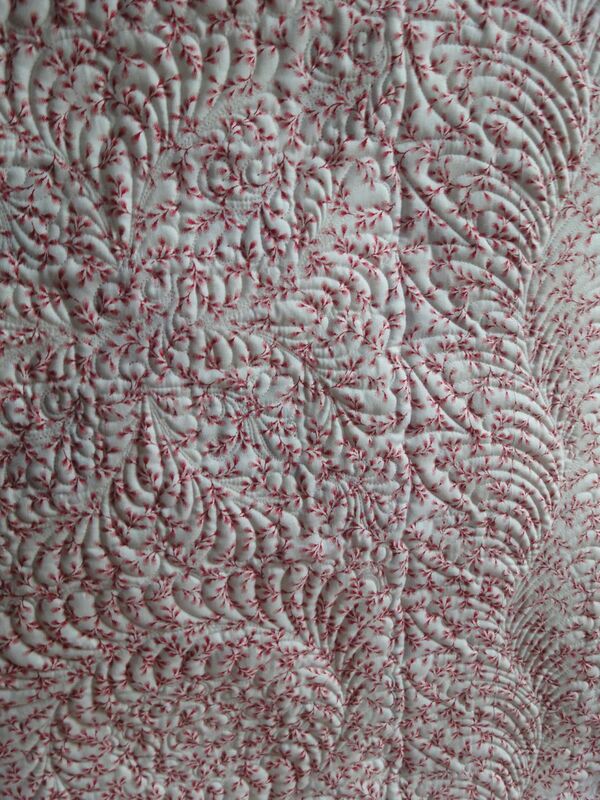 I added some fancy quilting, and we are offering it for sale at the quilt show. All proceeds will go to the Museum! The photos don’t show the color accurately. The Minky back is a nice lavender. So here’s the deal. 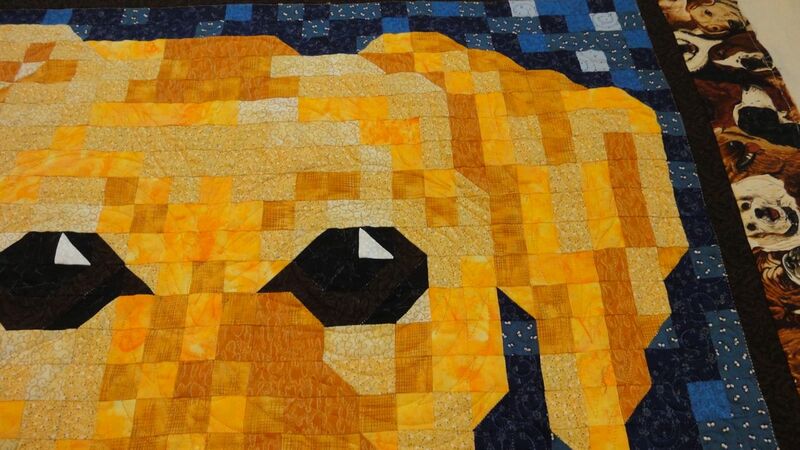 The materials and quilting for this quilt would come to over $250. 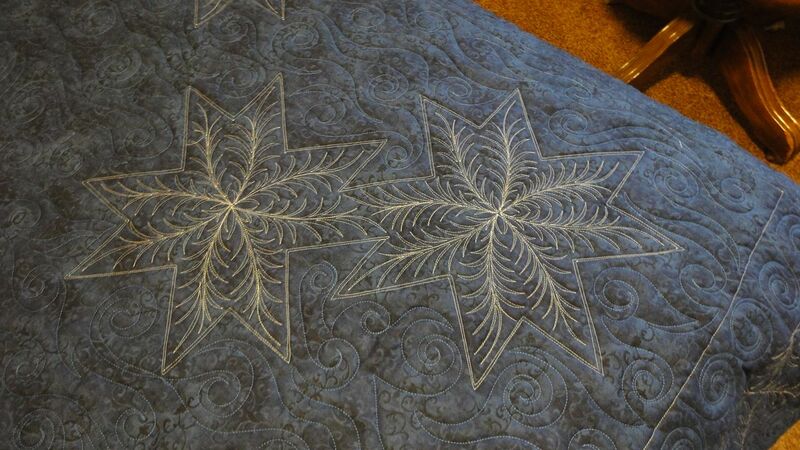 I donated my quilting time, and the materials, and John donated the sewing time. 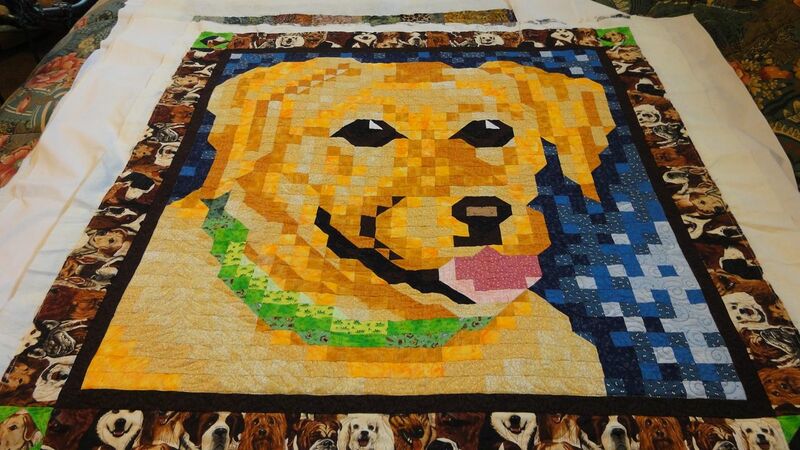 We’re offering this work of art (that you can snuggle with) for $175. And, yes, you can buy it by calling me. 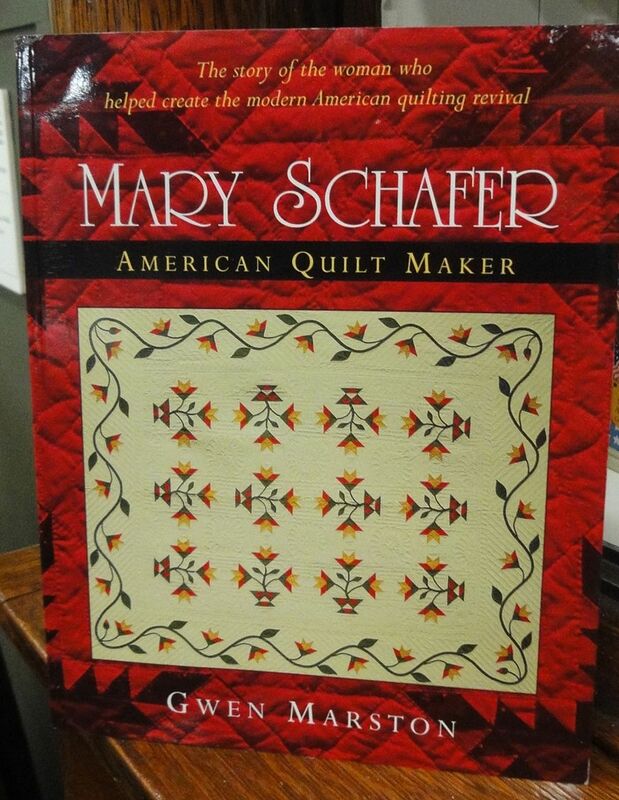 But I’ll be at the quilt show all week, so if you really want t, come to the show! Soon! These are the raffle blocks we are offering this year. 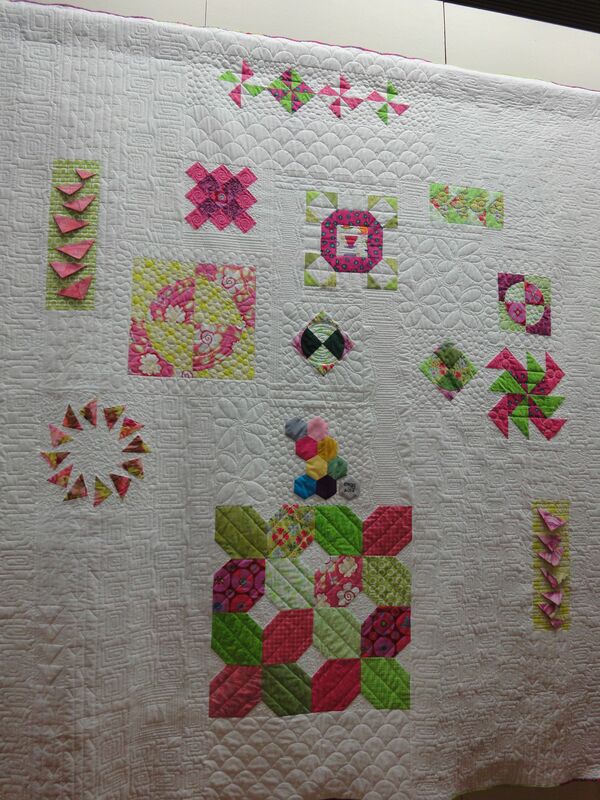 The blocks were made using the original 1929 Nancy Page patterns, printed in the Portland Oregonian. 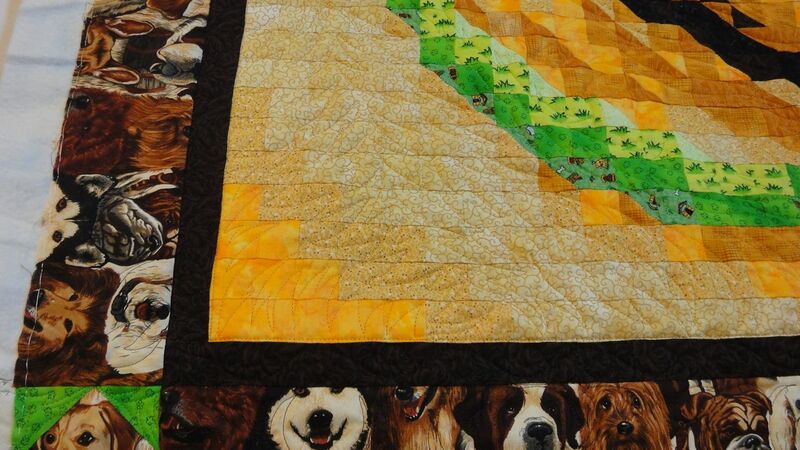 There was a contest and monetary prize for the best quilt. 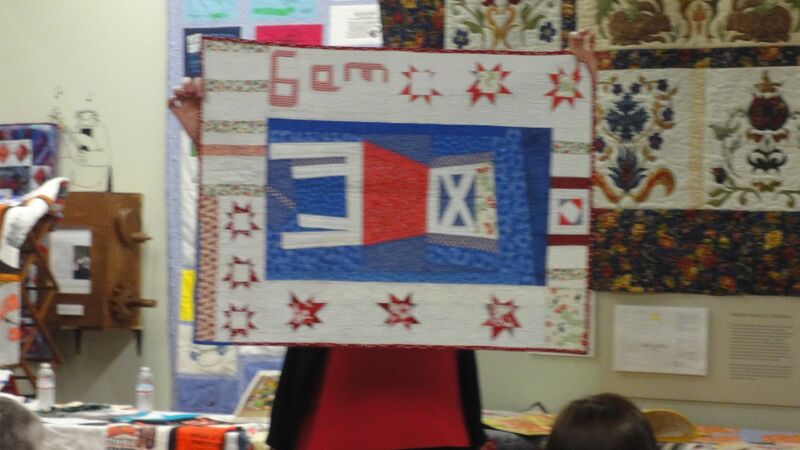 We have two quilts hanging beside the blocks that were made during that contest! 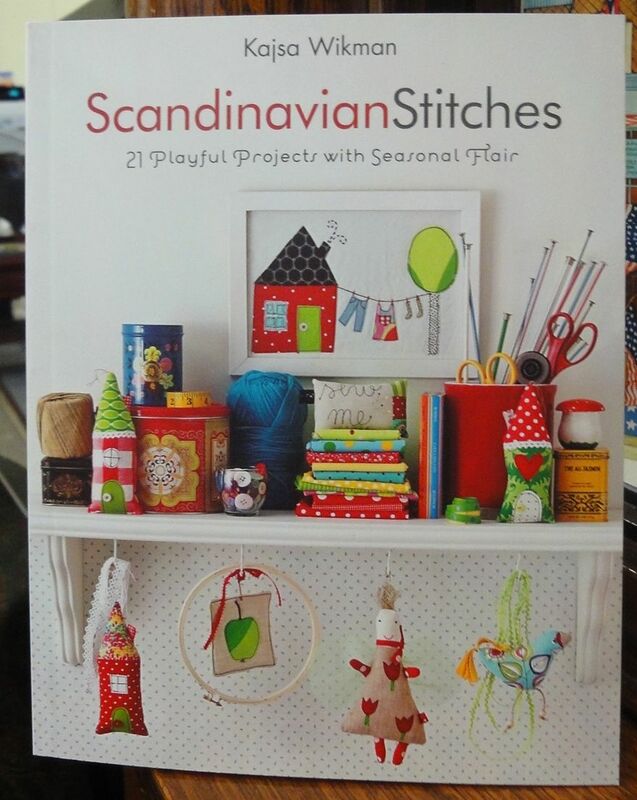 Raffle tickets are $1 each or 6 for $5, and the winner will also receive some coordinating fabric yadage! So this all starts tomorrow morning at 10! Admission is $5 per person. 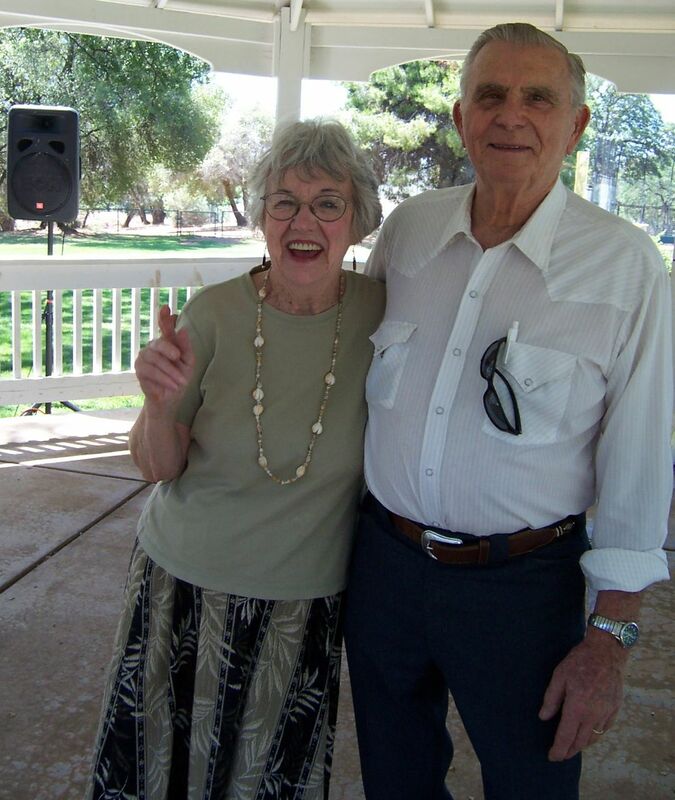 You can buy a weekly pass for $10 and come several times to enjoy the speaker presentations and demonstrations. See you there! 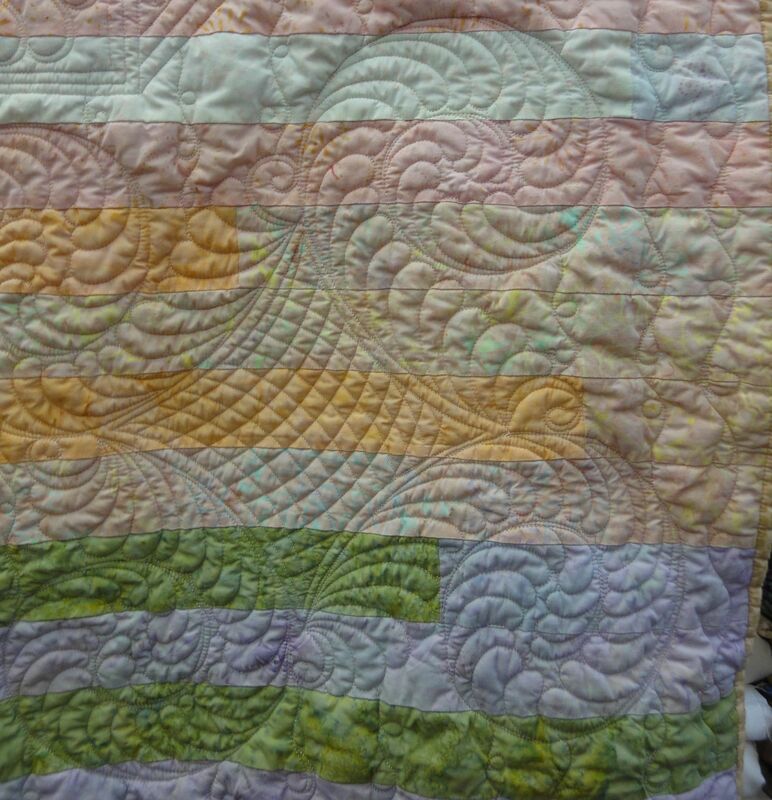 This quilt belongs to Ann P. who asked me to put feathers on it. Twist my arm! Please, could I put feathers on it? 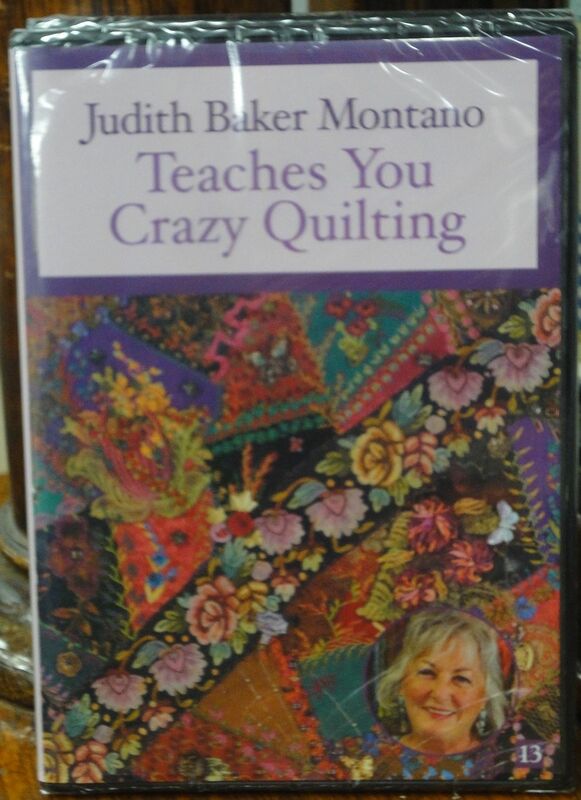 Ann is one of those quilters who does everything right. She trims the extra threads from the seam allowances on the back. 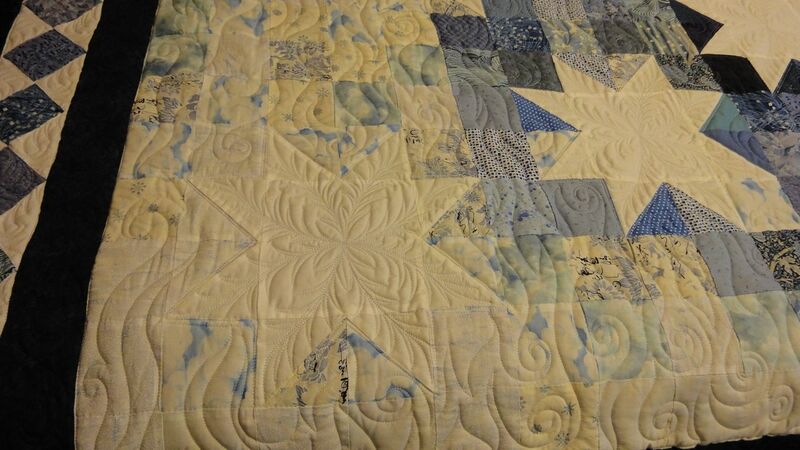 The quilt and back are pressed and folded carefully to avoid any extra wrinkling of the fabric. 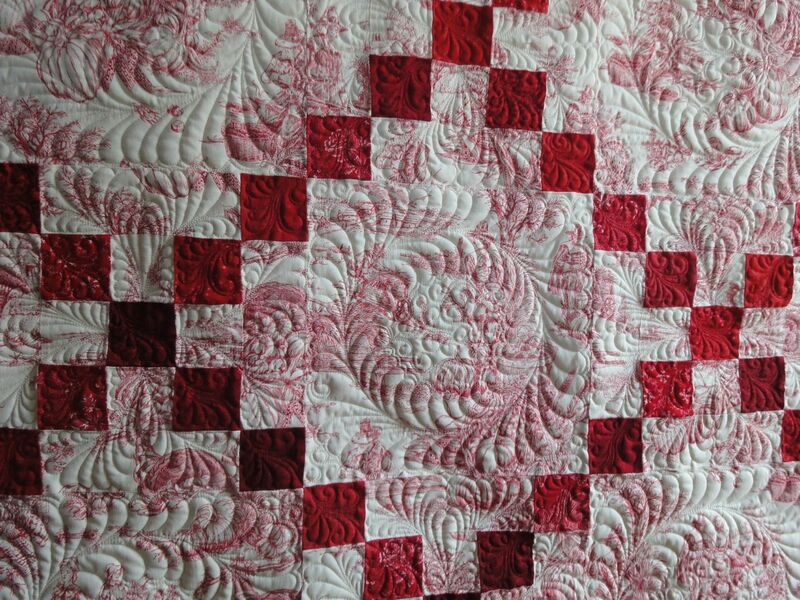 She pays careful attention to each detail, and that really makes a difference in the finished quilt. 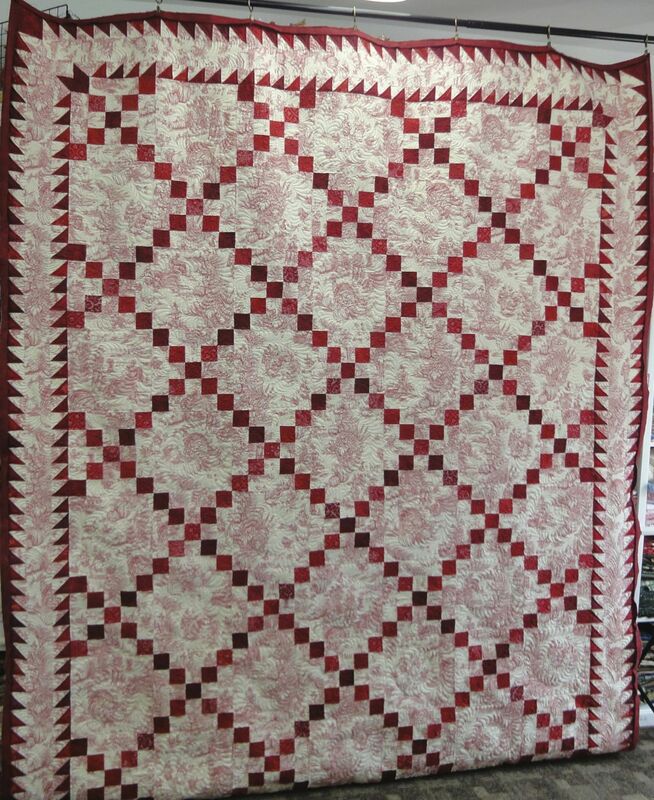 The quilt and backing are square. 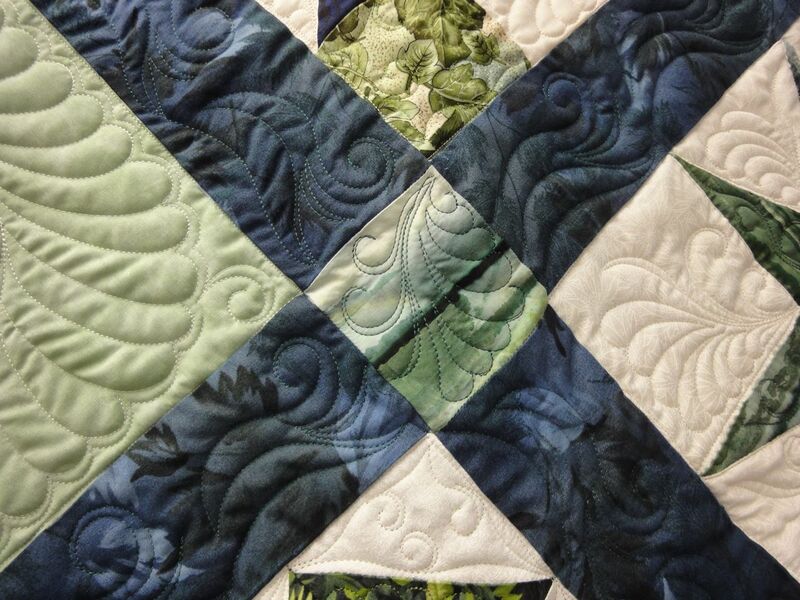 All these details take time and effort, but they really make a difference when I begin to work on the quilt. 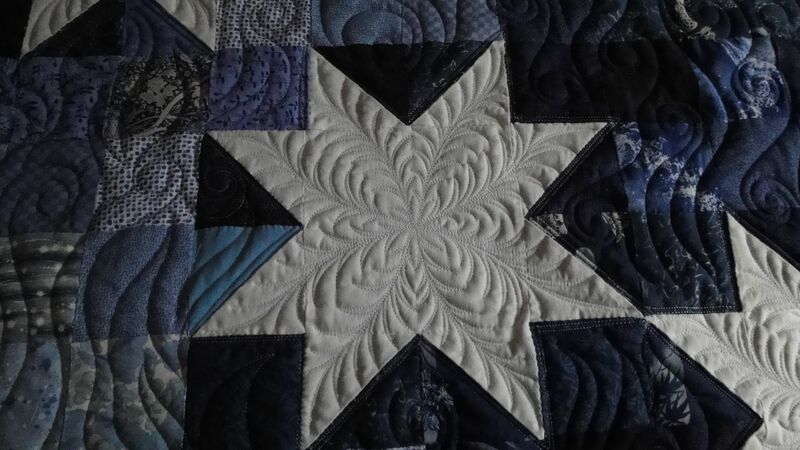 I placed a feathered wreath in the center of the “plain” block, and a feathered “V” shape from the center of the “X” block. That combined nicely with the feathered wreath to create an extended design. Inside the red chain patches I put a very small continuous feather sprig to create a continuity of movement. 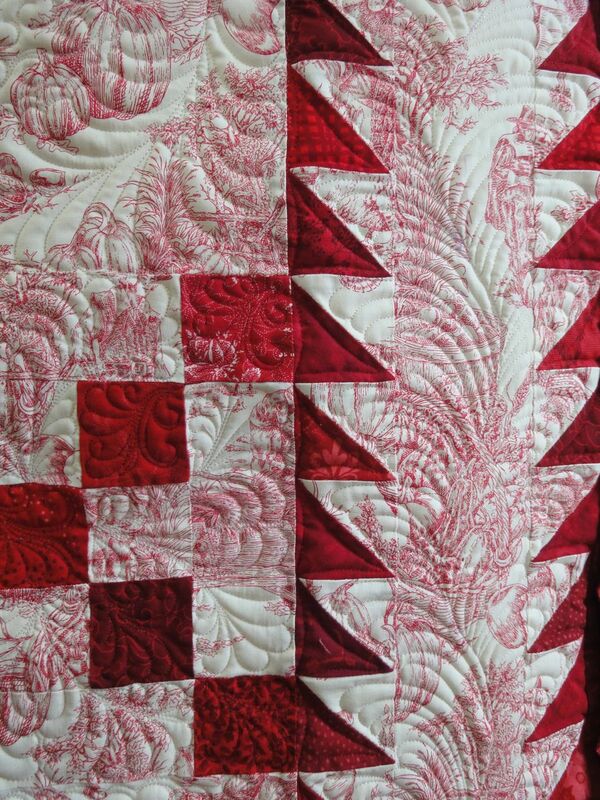 Ann used a double sawtooth border for this quilt, a feature that elevates the quilt visually. I wanted the sawtooth to show and puff a bit, so I put a very simple continuous curve in it. 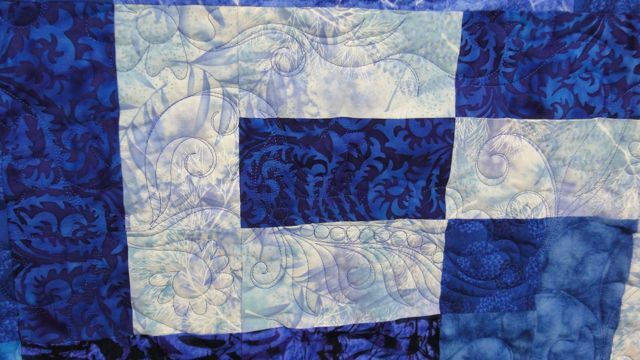 Then I placed a very curvy feather along the entire border, again adding movement and softness. 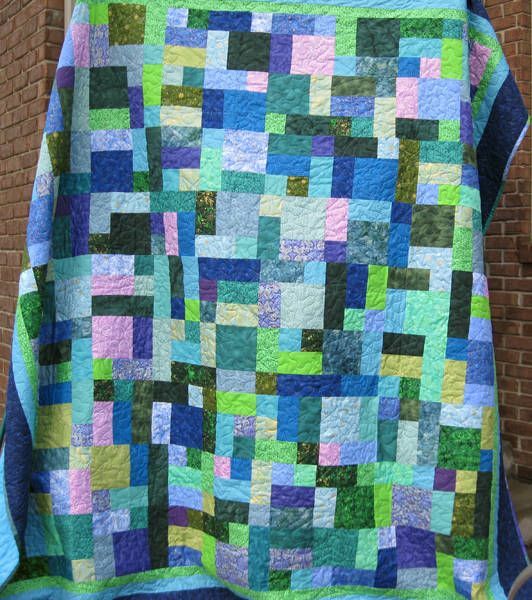 This entire quilt was a pleasure to work on, and I’m very pleased with the results. 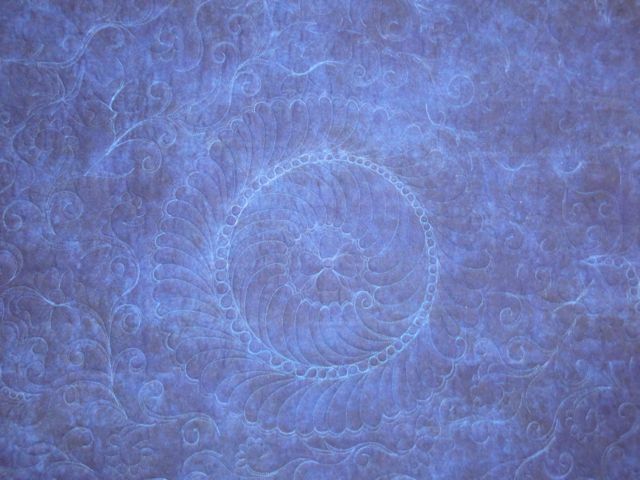 It is, however, difficult to see your quilting when you’re working with toile, so I had to work without the machine light on — otherwise I couldn’t see the stitches! Here’s a little bit of the back! 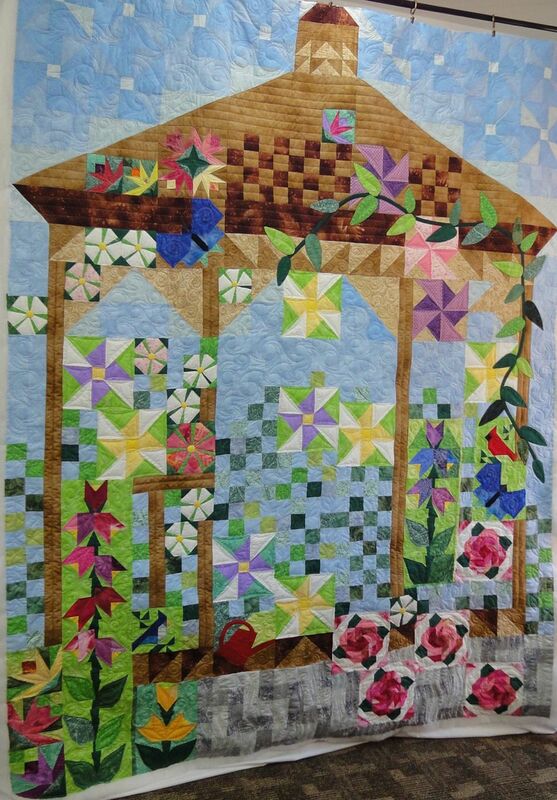 Look for this quilt at the Pioneer Quilters’ 37th Annual Unbroken Thread Quilt Show, April 23-28, 2013, at the Lane County Historical Museum, Lane County Fairgrounds. The show opens at 10am and closes at 4pm, Tuesday through Saturday. Sunday, the last day of the show, the hours are 10am through 4pm. 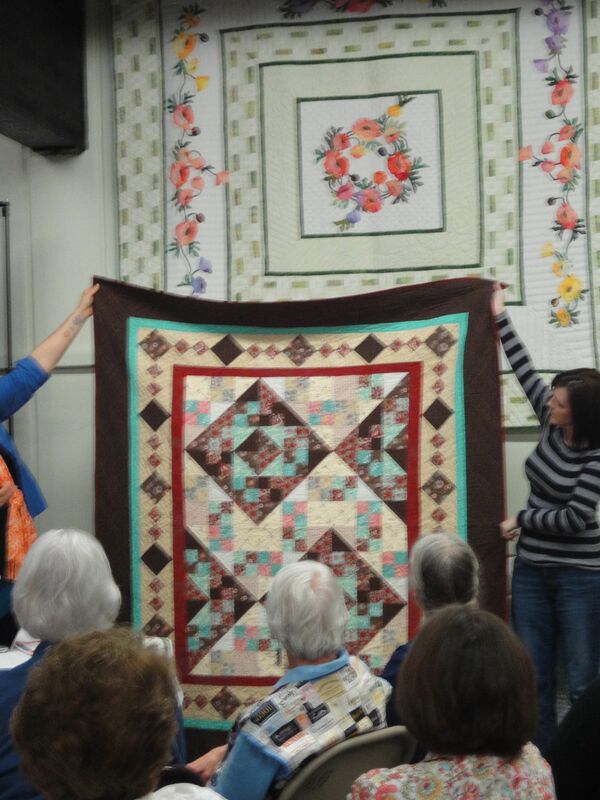 April 23-28, 2013, the 37th Annual Unbroken Thread Quilt Show will be presented by the Pioneer Quilters and Lane County Historical Society and Museum. 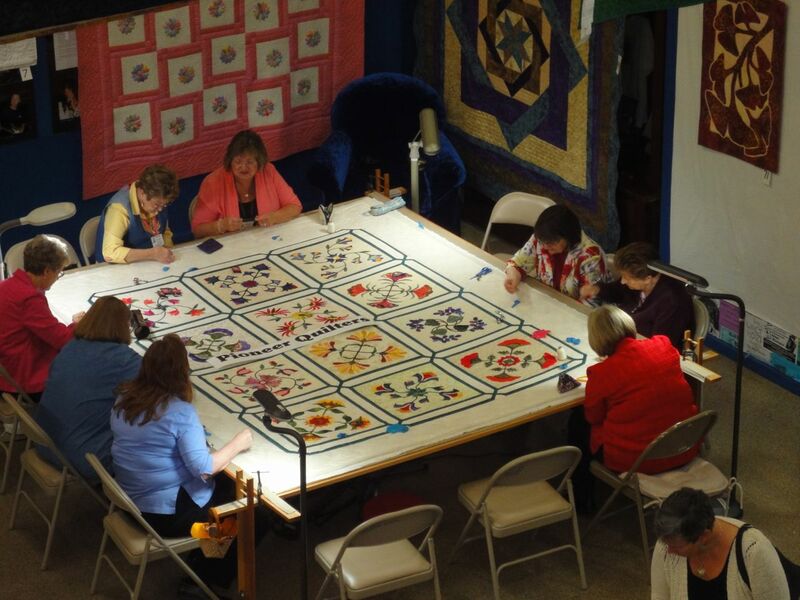 The theme this year is “Our Quilting Family,” appropriate for our featured quilters, sisters Joyce Garrett and Jamie Wagle. Joyce and Jamie have an impressive body of work to share during this show. 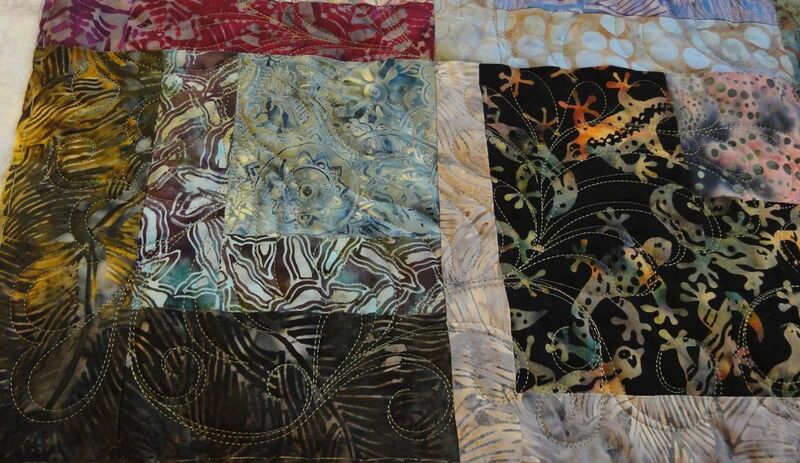 They have been members of Pioneer Quilters for many years, and have accumulated a number of friendship quilts and projects done together, but with individual style. You will be astonished at the breadth of their work! 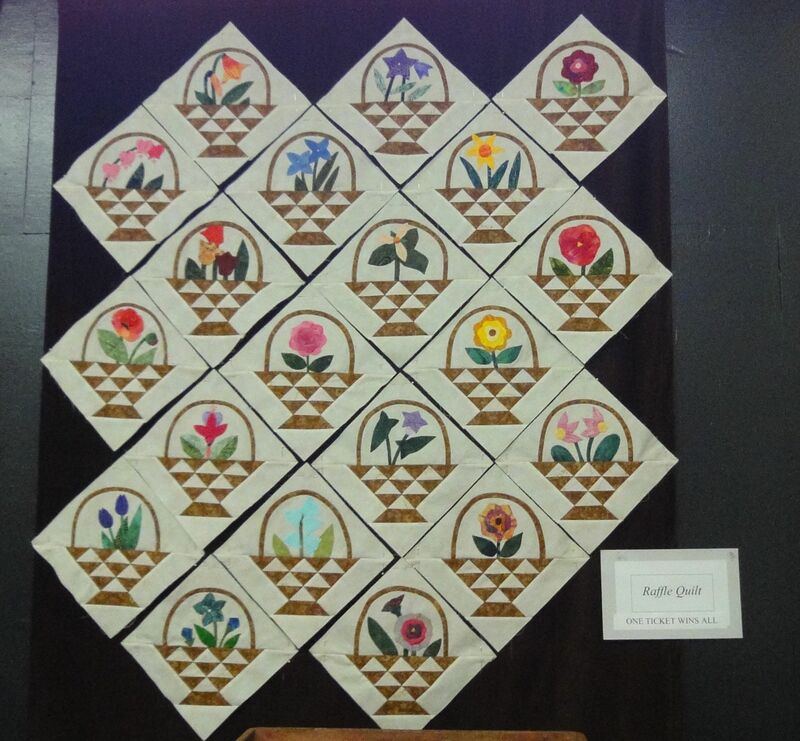 Our show will exhibit over 100 quilts, made by quilters in our local area as well as Pioneer Quilters. 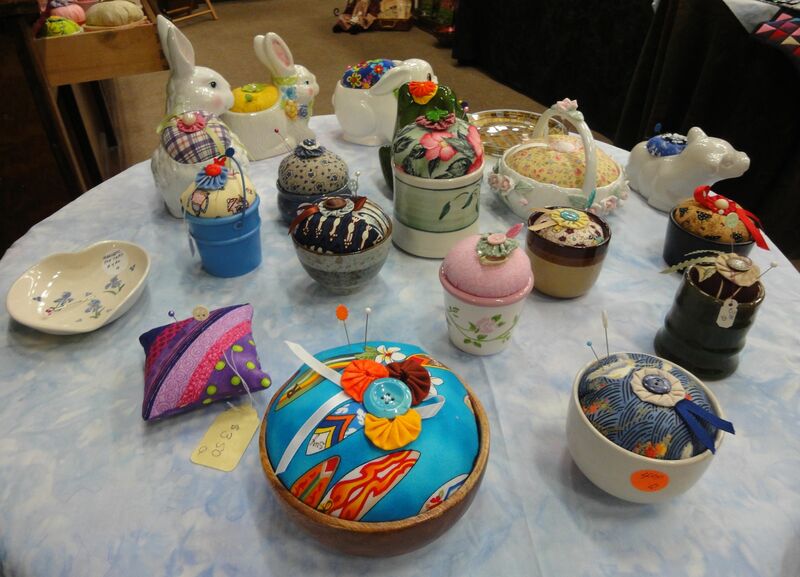 Each year the show is a fabulous display of local talent. 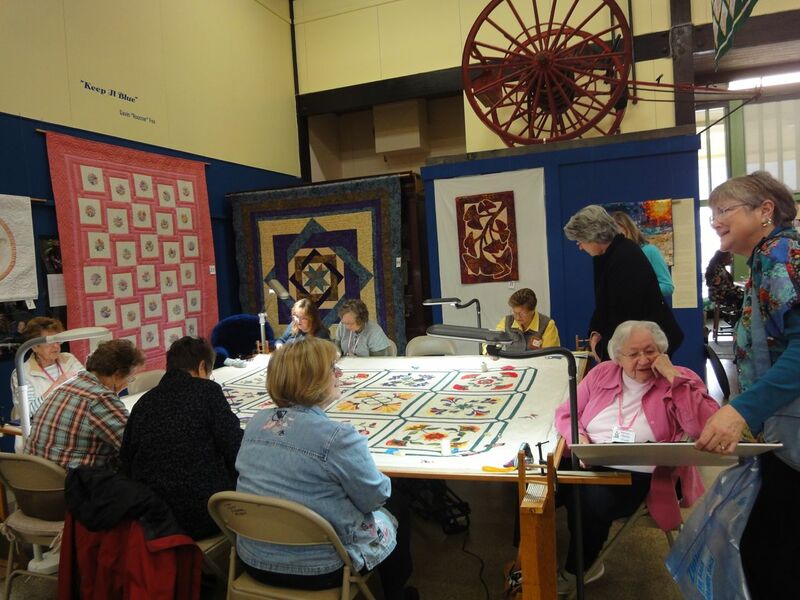 The Pioneer Quilters enjoy sharing quilting knowledge with the public, so each day the show features demonstrations and speaker presentations. Speaker presentations are each day from 1-2, and every one is a “must-attend” this year. 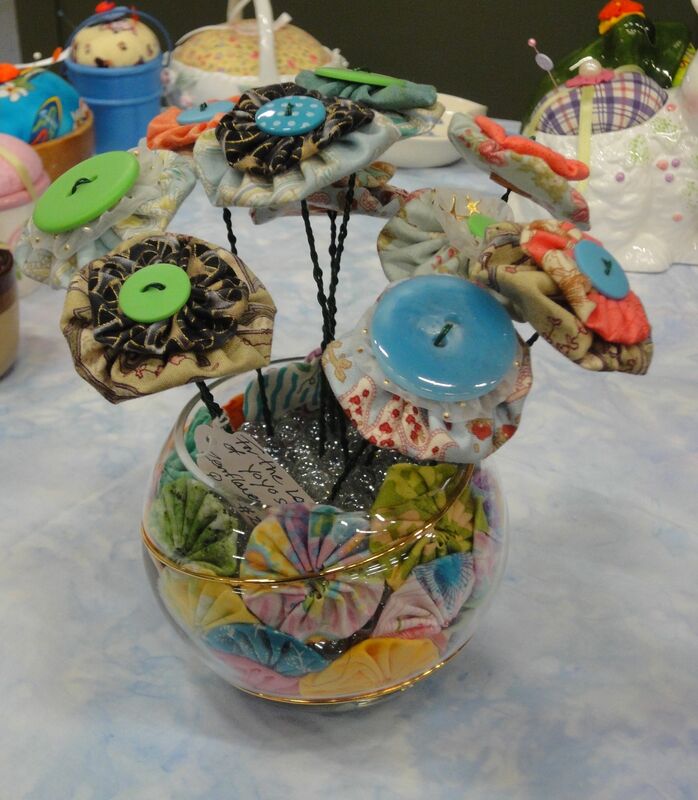 Demonstrations run from 10:30-12 and from 2-3:30. Each demo will show a technique or project, with tips and information for you to try at home. 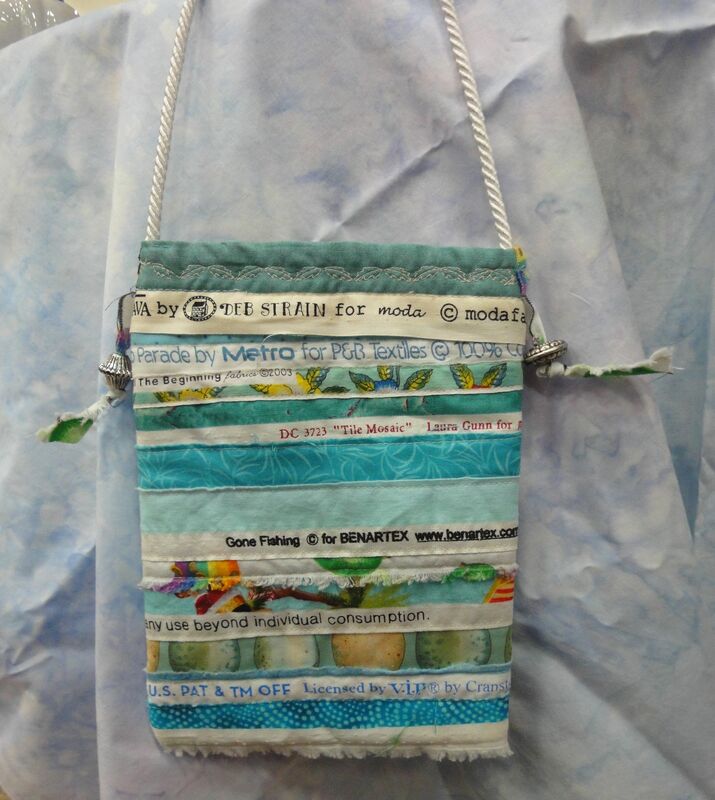 Tuesday April 23, will feature “BYOB – Bring Your Own Bag” demonstration by Merline Smith from 10:30-12, and “Embroidery 101” by Jeanette Singler from 2-3:30. 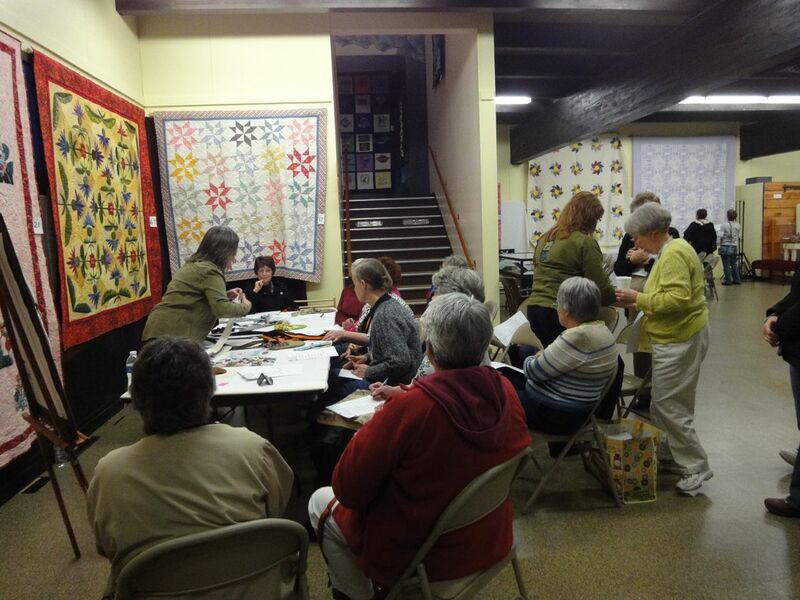 Everywhere you look you will see quilts and more quilts. 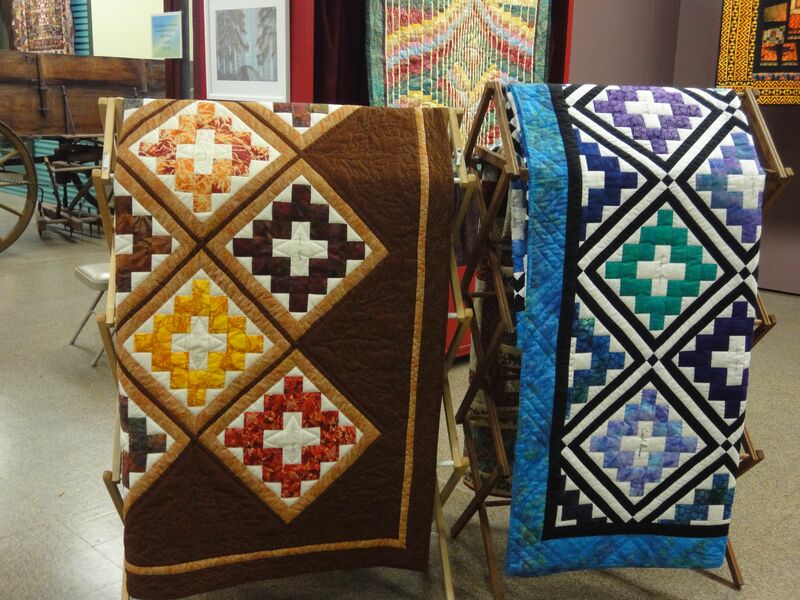 The Museum also exhibits quilts from its wonderful collection. 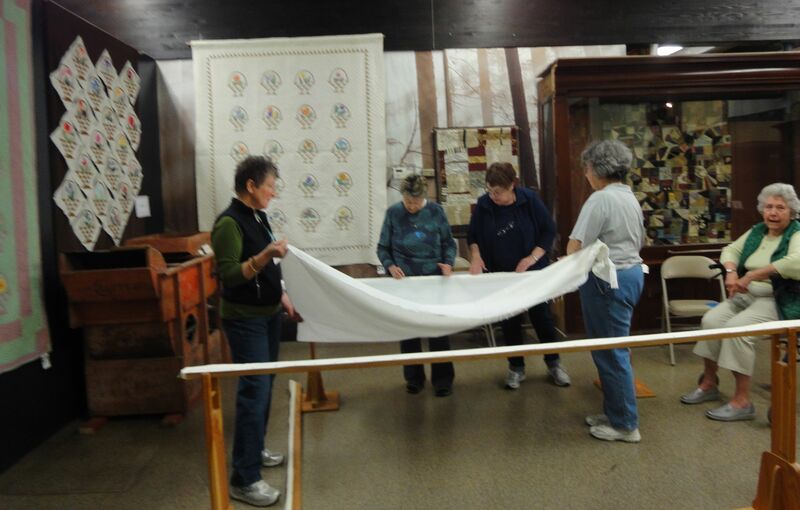 And of course, the Pioneer Quilters are on hand, working on a quilt in the frame! This dog looks so true to life, I can almost feel its happy disposition. The green kerchief around its neck, and almost smile make me think I’m about to get a big loving lick, or maybe a request to go run in the park. 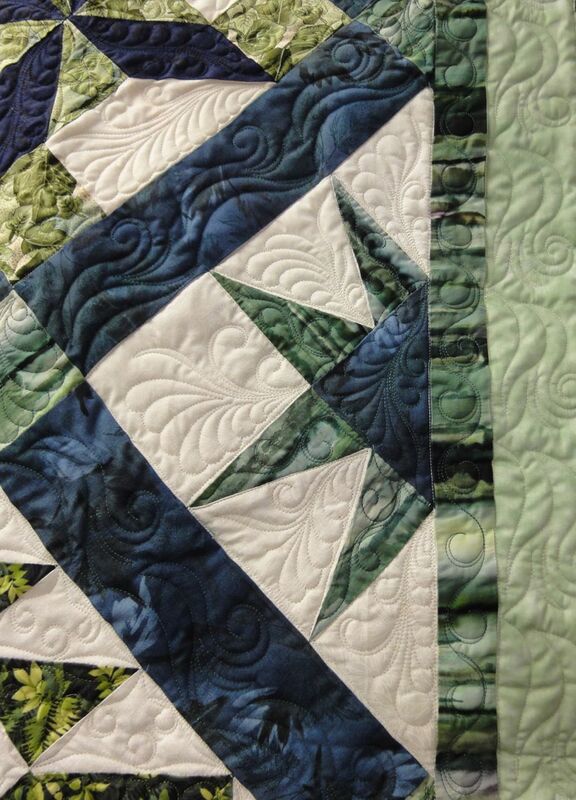 Even though the quilting isn’t dominant for these two quilts, it still plays an important supporting role, and I still have a lot of fun with little extra touches that can be viewed up close. 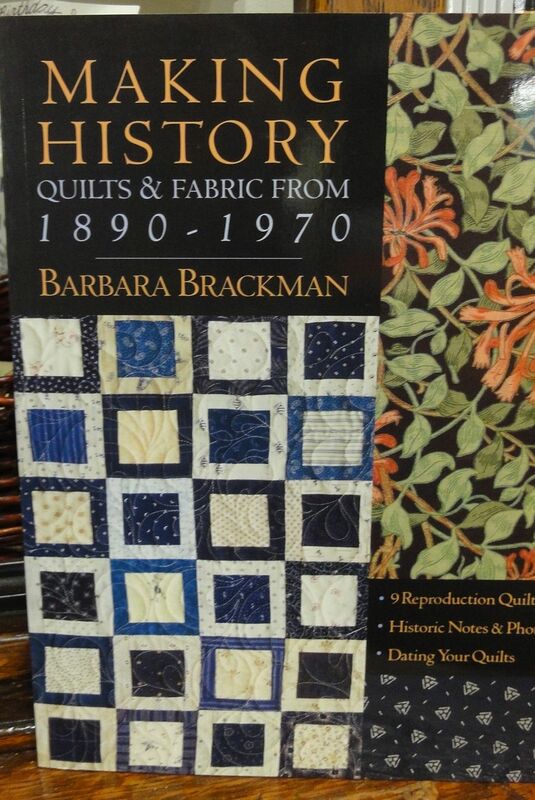 These quilts were done during December 2012 and January 2013, but haven’t been published yet. The Cardinal and the Butterfly are just wonderful! 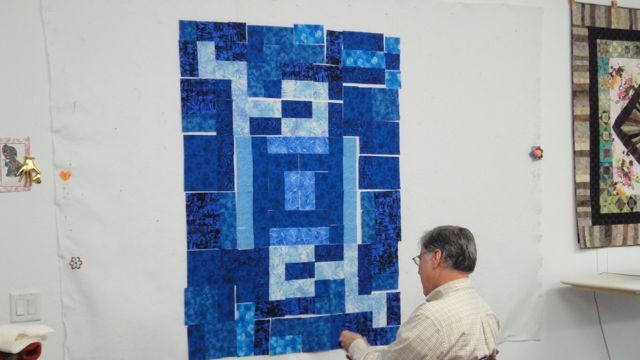 When you look at the overall view of the quilt, you can see the amount of work that went into each block. 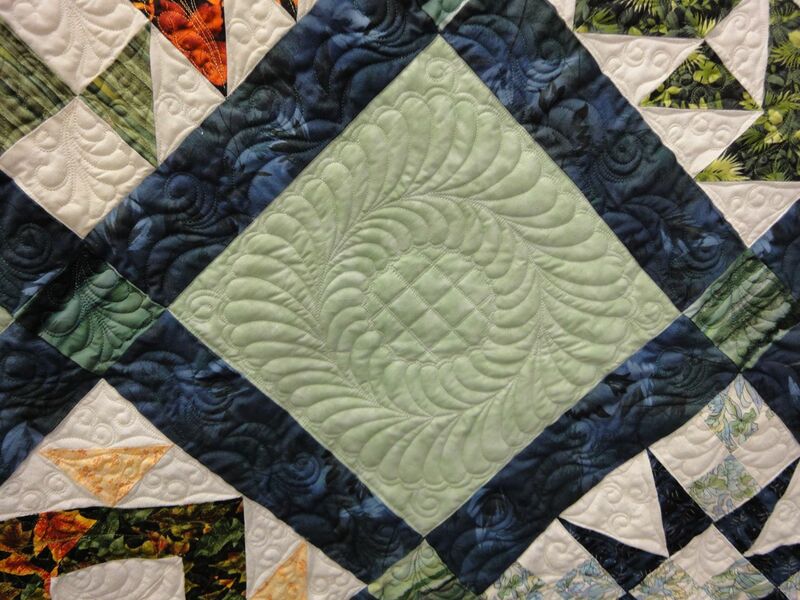 I could only imagine the amount of juggling the quilting group, led by Elenita Saltmarsh, had to do to make those pieces fit together seamlessly. I did have a copy of the magazine on hand and could see the very slight differences necessitated by the magazine’s mistake. 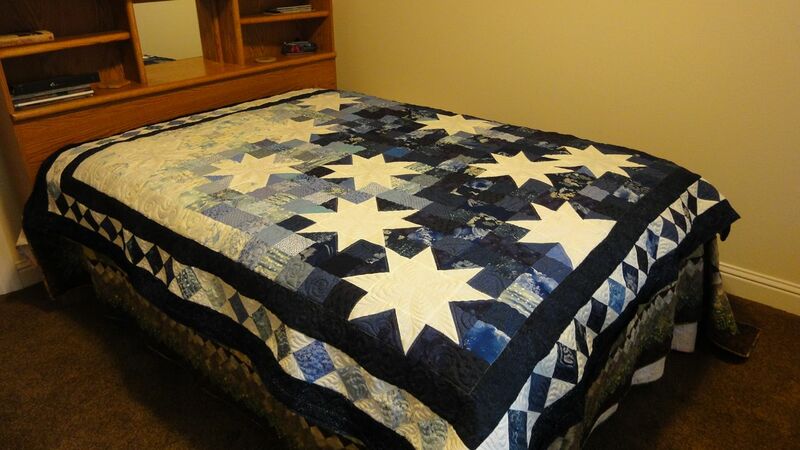 The quilt is extremely beautiful, and I know its new owner loves it! 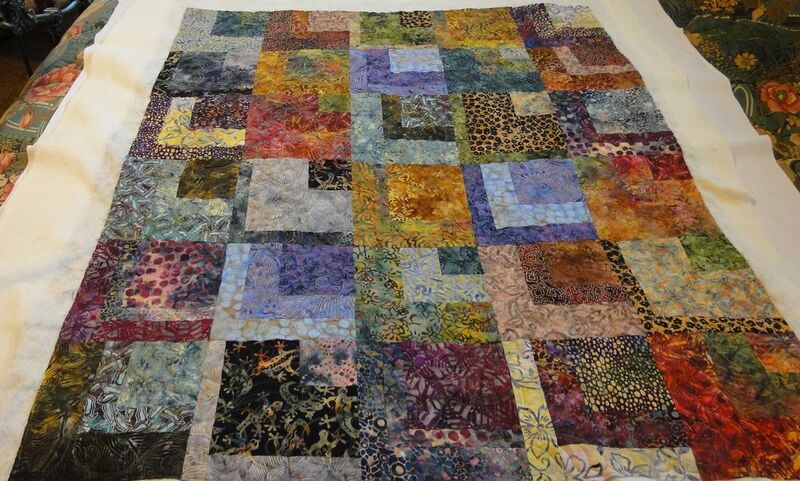 I still have a few more quilts to show; I’ll share them in a followup post.